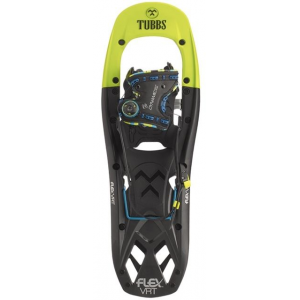 The author of this review is now a Tubbs Snowshoe Ambassador. 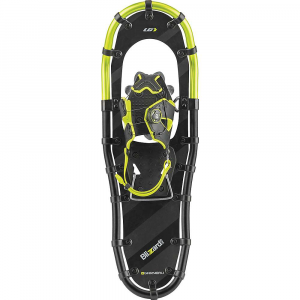 I will review my shoes, the 24 inch model, but my husband has the 28 inch version, and his review is the same as mine...we love these snowshoes! 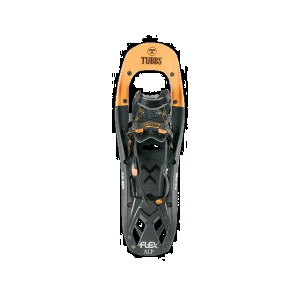 We have found them a nice step-up from our older Tubbs models (Adventure 25 and Eclipse 30), and have been excellent in our uses this year, on varying terrain and snow conditions. 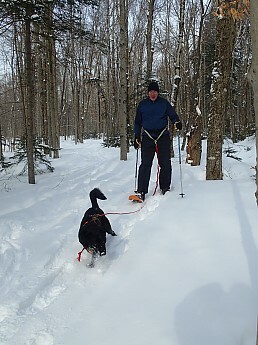 We snowshoe on sometimes steep and icy trails, and sometimes trails with unpacked or mushy snow. 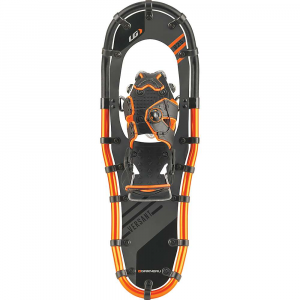 I have found the design and materials on these snowshoes to be excellent, and they have greatly increased my confidence on tricky terrain,especially when traversing. The extended traction is wonderful,and an improvement from my old Tubbs, which had only toe crampons. The Flex Alps are light, and the binding system holds them securely...I have found no lateral "wiggle". The heel lift is also a feature new to us, and it seems like a nice advantage for some of our steep uphills. It took a few tries to feel confident in using the pole grips to lift/lower the heel lift, but now it comes very easily. 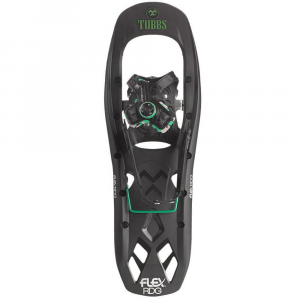 The binding system is easy to use; the adjustments are quick and easy, and fit both my boot ( size 9) and my husband's size 14 boots....in fact, he had originally purchased the Tubbs with a BOA binding, but decided he liked my binding system better, so swapped out for the Flex Alps. 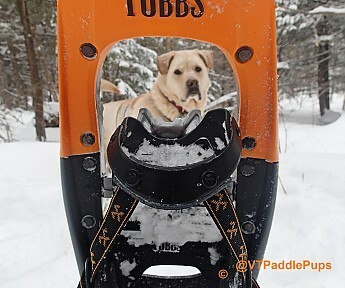 The snowshoes are very light, and seem easier on our "old" joints than our older Tubbs snowshoes. They have performed well in both powdery fluff, as well as crusty, windblown, mixed conditions. This was certainly a good investment for us. Looks like a great set of shoes. Thanks for sharing this review. Thanks for sharing this snowshoe review, Sheila. It's great to see you getting out with your dogs in the snow. My husband and I have the flextrex too -- his is this exact model. These are terrific shoes! Thanks for the review. 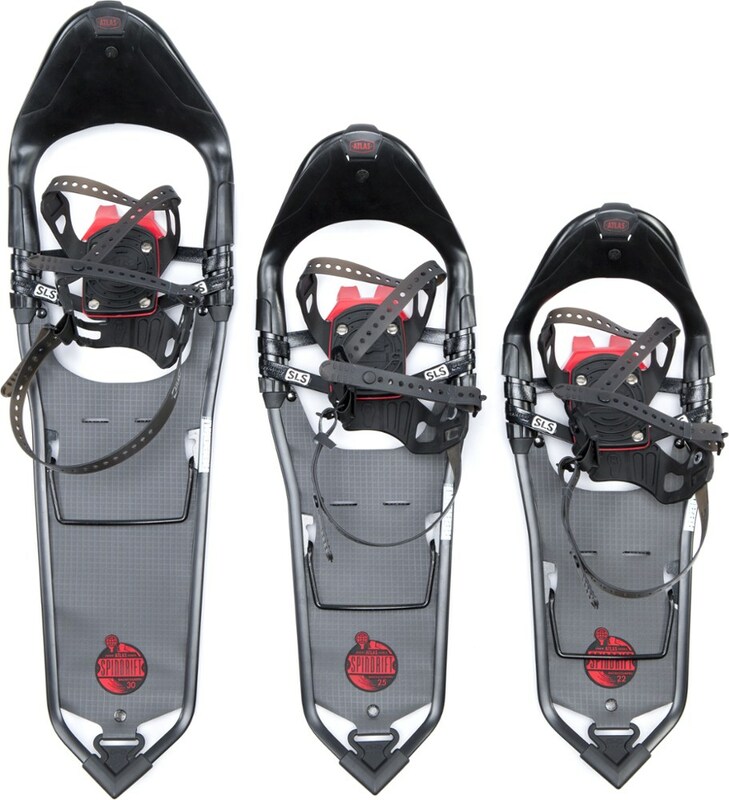 I recently got a friend into snowshoeing and he plans on having a set of backcountry/mountain snowshoes for next winter. The Flex ALPs have consistently rated 4 stars or better everywhere I've looked, and they're on my short list of models to recommend based on that. I just can't make myself trust that itty-bitty steel cable in the BOA binding - you can't make a trail fix with duct tape if it ever breaks! For starters, I am a 250 lbs man just under 6 feet tall. These things worked awesome. I tried MSRs and I sank like a rock. I have had nothing but great experiences with these shoes. They are light and responsive when shuffling along and somehow they keep me above the snow...great buy. 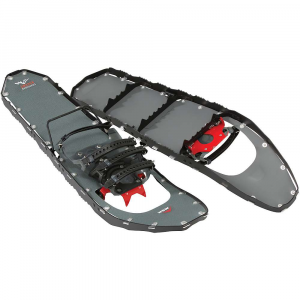 hello, did you buy the 24 or 28 size of these tubbs flex alp snowshoes? I upgraded to these after a couple years of suffering through the SLS (Slings Lots'o Snow) pivots of my Atlas shoes. It is very nice to leave the snow on the trail instead of flinging it on my back. The grip of these is amazingly good, and the flex of the deck is appreciated of the steep downhills. The bindings are simple, fast and secure. The heel lift clicks around a little bit, but it never gets in the way and is very appreciated on the extended climbs. The Tubbs Men's Flex ALP is not available from the stores we monitor. It was last seen March 6, 2019	at CampSaver.com.